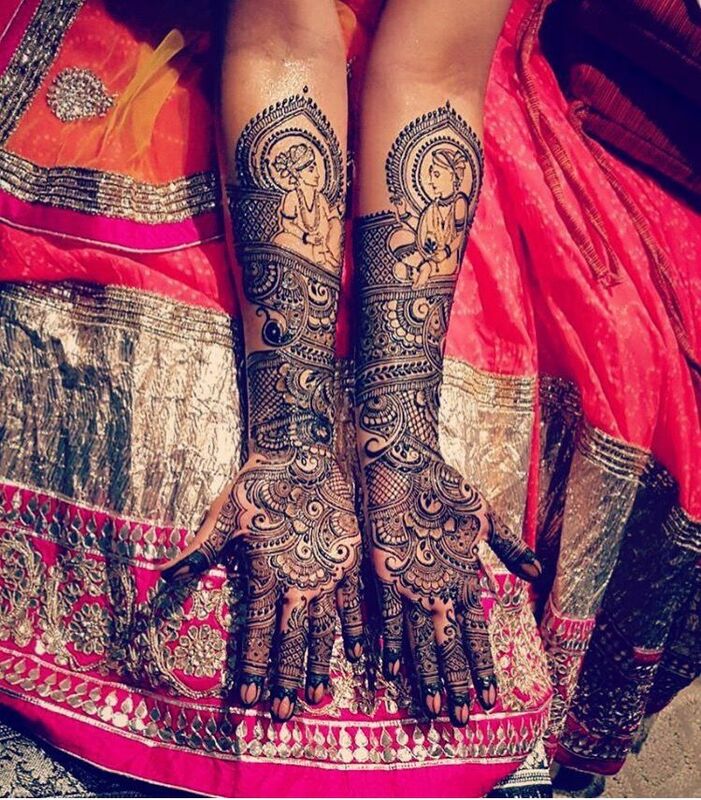 Take a look at the most beautiful mehndi designs for a bride getting married this winter season! Winter weddings are so much fun. There is an amazing romanticism in the air, the rich color palettes for the outfits, makeup looks and tons of inspiring ideas to keep the wedding simple yet a beautiful affair to remember. All this is possible in the winter months! While the winter bride is all ready with her bridal outfit and the matching hairdo to go with the entire look, she should also be in the position to have finalized the mehndi design. Mehndi function is an exciting, fun-packed customary pre-wedding event for a to-be-bride and her friends as well as relatives. Mehndi ceremony before the wedding is a special day in the life of a bride. 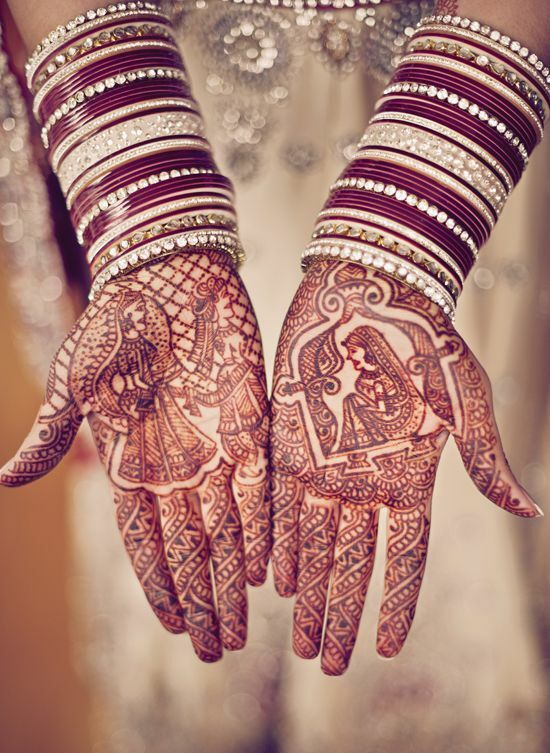 Besides, Indian brides are a huge fan of intricate mehndi designs. Usually, the morning of the mehndi ceremony starts with the ritual of haldi. It is basically about applying turmeric paste on the bride’s face, feet and hands. 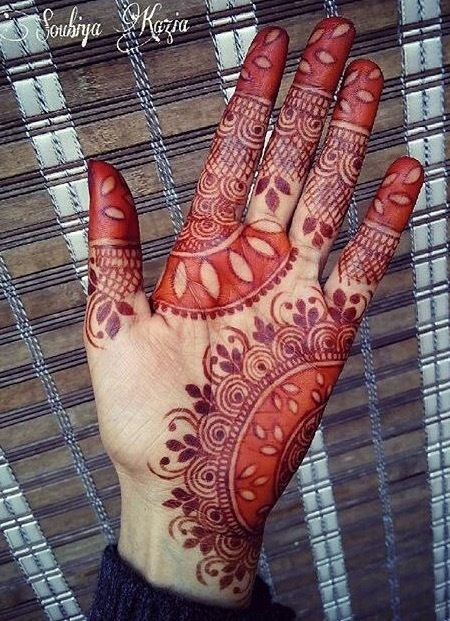 At night, a professional mehndi artist is hired for the henna application. The design could range from being highly intricate to minimalist. Depending on the overall look of the bride and her preferred choice, she can also opt for Arabic or Moroccan mehndi design. One of the most trending designs these days is Indo-Arabic style. 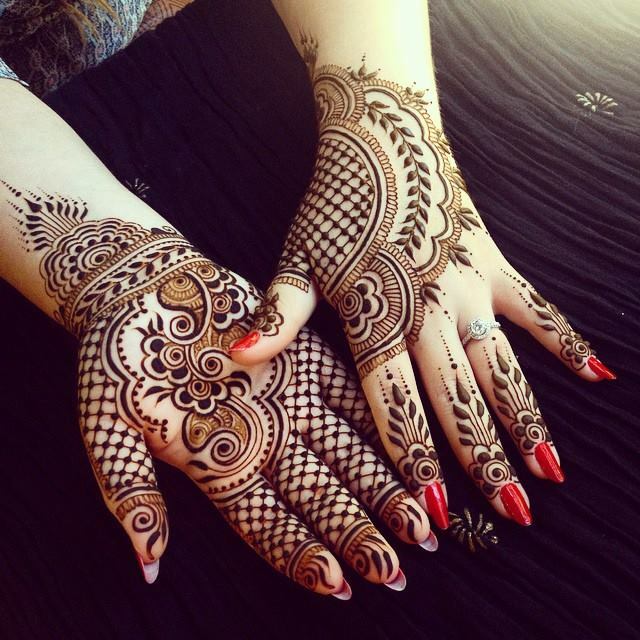 Some of the other popular mehndi designs include Rajasthani style, embellished design, and even tattoo mehndi patterns. 1. Paisleys: One of the major highlights of an Indian mehendi design, paisleys are a complex pattern of peacocks, flowers, along with various other unique curls and curves. This motif defines a highly intricate design/pattern. With paisleys as a part of the mehndi design, there is a very little scope of space on the canvas (hands; palms; feet; legs). 2. Bride and groom: The figurines of dulha-dulhan (groom and bride) is one of the most auspicious wedding mehndi motifs. Most Indian mehndi designs offer this motif as the centerpiece of the entire design (especially for the hands). 3. 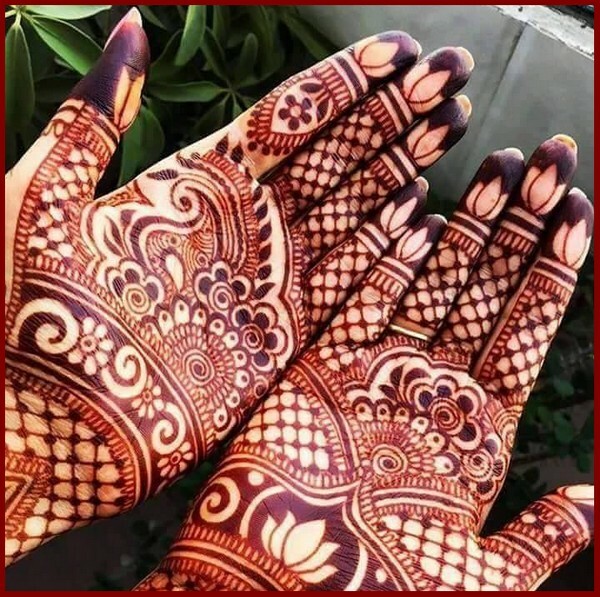 Zig-zags/ geometrical designs: Moroccan mehndi designs originating from the Middle East are more geometric in nature unlike flowery patterns mentioned in the above three patterns. Extremely chic and quirky, the zig-zag motif is becoming quite a trends these days. To add more glory to your mehndi design, you may want to opt for some embellishment, such as glitter. Accentuate your pre-decided design with sparkles to complete the ultimate bridal look. 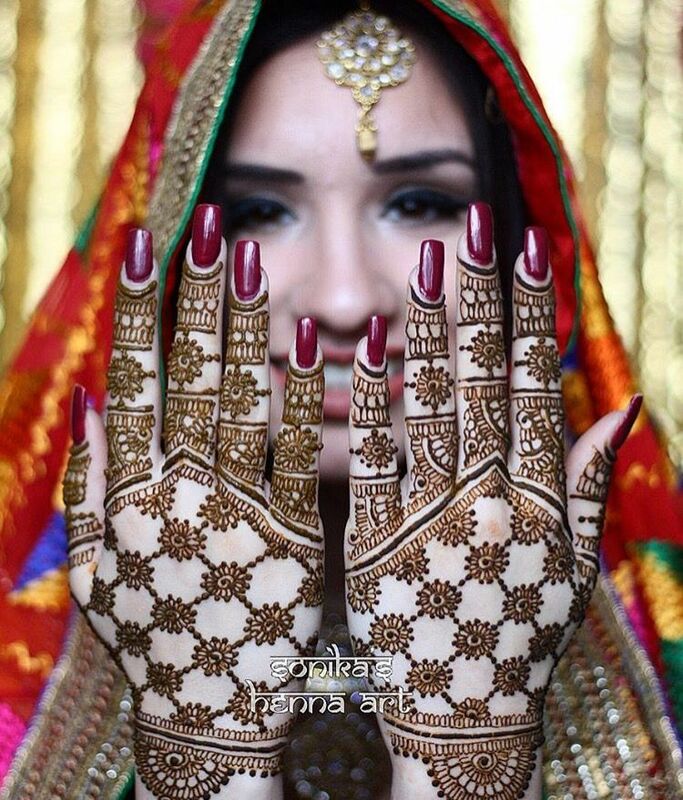 Take a look at some of the most beautiful mehndi designs for all you to-be-brides who are getting married this December!